jet city comics show | Radio vs. the Martians! Mike and Casey Return for a Third Appearance at the Jet City Comic Show! 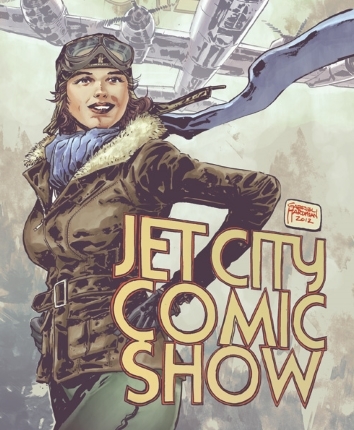 For the third year in a row, Mike and Casey will be returning to the Jet City Comic Show in Tacoma, WA on Saturday, November 5th through Sunday November 6th! Stop by our exhibitor booth and chat with us about the show, or any old pop culture thing that strikes your fancy! 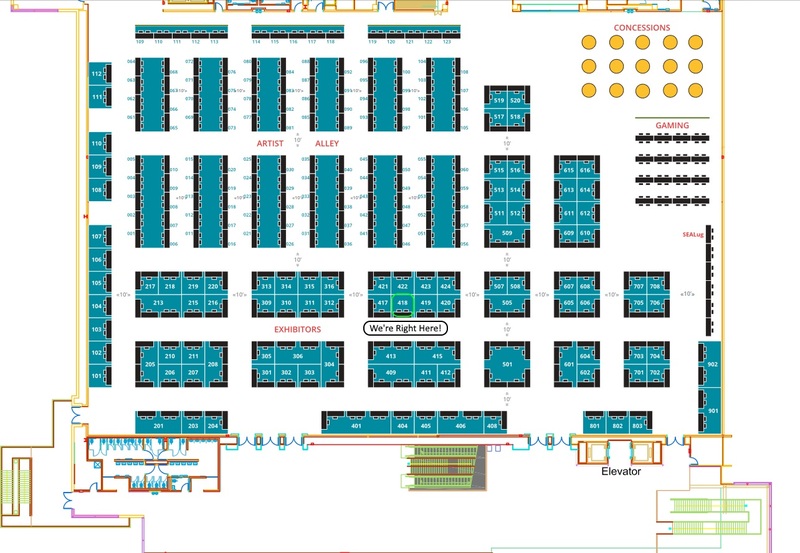 We’re at Exhibitor Booth #418, which you can find here on the show floor map! Just look for our banners! Mike and Casey Return to the Jet City Comic Show! We’re coming back to Tacoma’s Jet City Comic Show on the weekend of Saturday, October 31, and Sunday November 1st — our first two-day convention appearance! Feel free to drop by our booth, and chat us up about all things pop culture-y! We’ll have plenty of Halloween candy and show sampler CDs, to spread the podcast love! 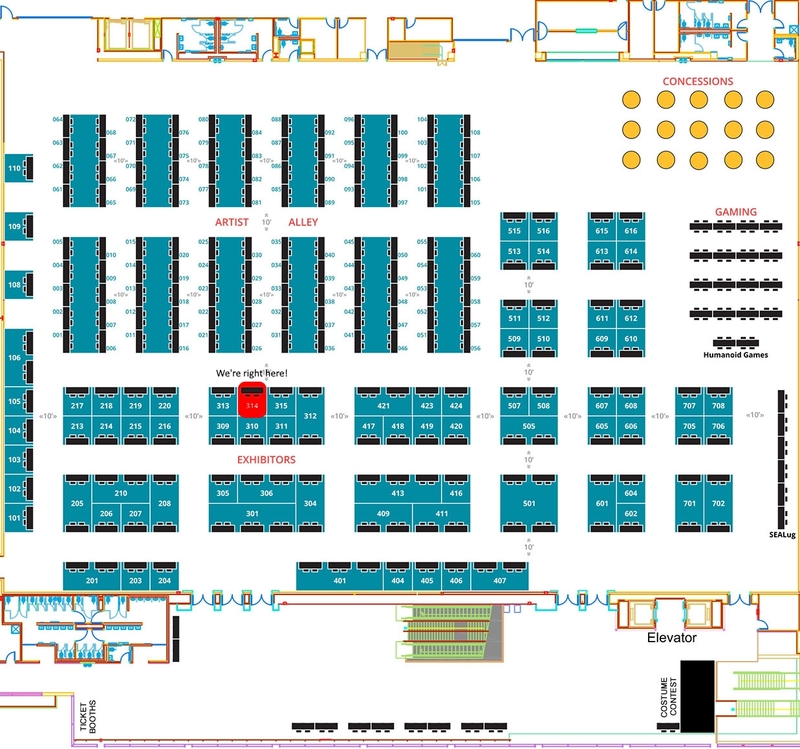 We’re at Exhibitor Booth #314, which you can find here on the show floor map! Just look for our banners! Meet Us at the Jet City Comic Show on November 8th! Hey folks, Radio vs. the Martians! is making its first convention appearance! Mike Gillis and Casey Doran will be joined by fellow panelist Sam Mulvey at the Jet City Comics Show in scenic Downtown Tacoma, Washington on Saturday, November 8th from 10 am until 5pm. We’re going to be chatting with attendees and getting the word out about the podcast! 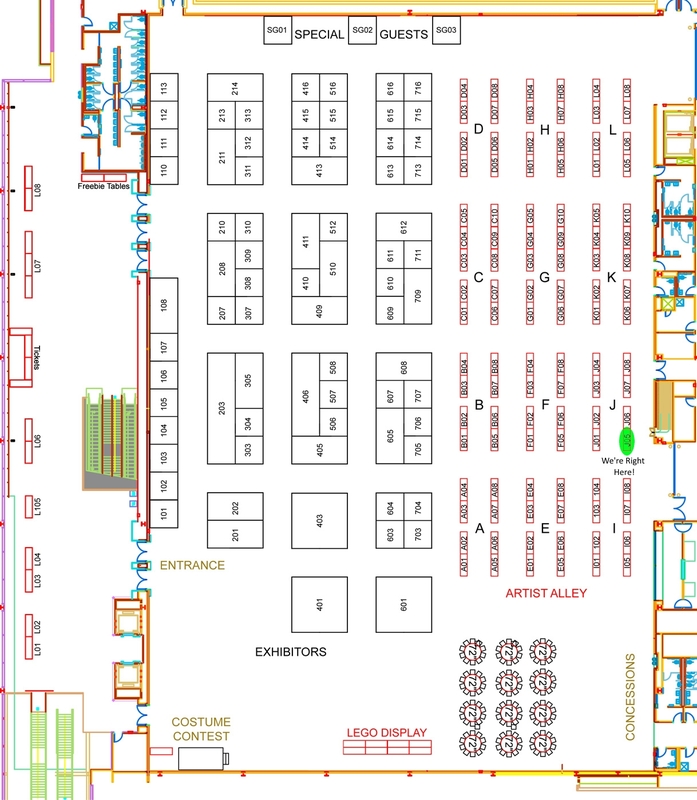 We’ll be sitting in Artist Alley at Table #J-05, which is right here. So, please drop by, say hi, and check out our new banners! Remember! All sanity, free will and the fate of Crystal Pepsi rests on you stopping by!